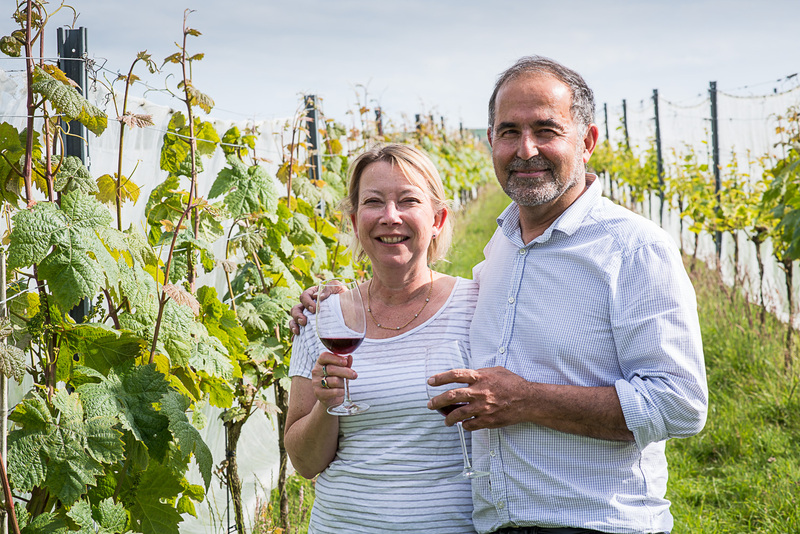 Cornwall’s only organic vineyard has become one of only two British producers to win a global award for red wine. Trevibban Mill and Orchards, near Padstow, won silver for its Black Ewe Red at this year’s International Wine Challenge (IWC), which saw 120 medals awarded to UK winemakers. Since opening the winery, tasting room and shop 12 months ago, the husband-and-wife team behind Trevibban, Liz and Engin Mumcuoglu, have won accolades for seven of their wines, including one gold, three silver and nine bronzes. In June last year they beat more than 900 wines from 20 countries to win silver at the International Organic Wine Awards (IOWA), becoming only the third wine producer in the UK to be recognised since the competition began. After the vineyard’s performance at this year’s IWC competition, Engin Mumcuoglu said it was a “great honour” to be one of only two British vineyards recognised for red wine, adding: “What a great way to celebrate our first year in operation.